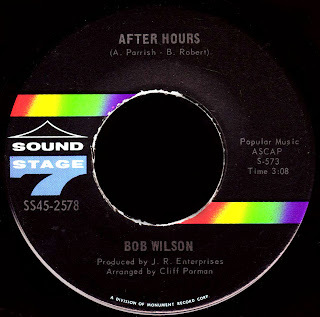 As part of the team at Sound Stage 7, Bob Wilson had been involved in all aspects of the recording process, including arranging and producing, although the label usually read simply 'Produced by J.R. Enterprises'. That went with the territory. 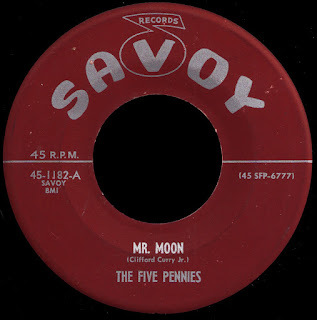 After the move to Music City, the individual producer began to receive label credit as well, and there are 45s out there from this period that were produced by Allen Orange, Bergen White, Bob Wilson, Tim Drummond and John R himself. If nothing else, this showed Richbourg's willingness to 'share the wealth', and help out the folks he worked with whenever he could. In all of the research and in all of the conversations I've had with those who knew him, I've never heard anyone say a bad word about him. An important source of income for any studio musician, especially in Nashville, was recording demos - rough versions of songs that a songwriter or publishing company uses to shop their music to artists and record labels. 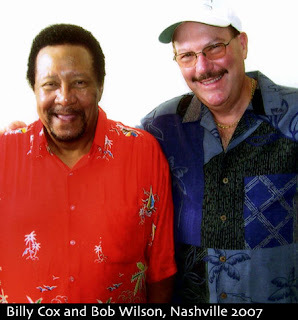 Wilson did his share of this kind of stuff (most memorably with Carl Perkins), and in 1968 he and Karl Himmel recorded a demo with songwriter Steve Davis called Take Time To Know Her, a tune he had written with Percy Sledge in mind. 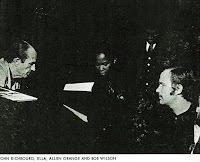 Davis introduced Wilson to Quin Ivy, the Muscle Shoals producer who had created Percy's 'sound'. Ivy was also a pilot, and flew in to Nashville regularly to do business on 'music row'. He had recently completed work on Quinvy Studios, his own 4 track facilty down in Sheffield, Alabama, and was looking to expand his operation. 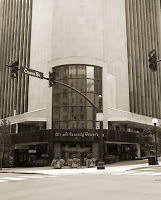 One thing led to another, and he proposed that Bob Wilson go into business with him, and open a Quinvy branch office in Nashville. Situated on Eighteenth Avenue South, right in the middle of everything, the plan was to gain some more visibility and respect for the Muscle Shoals approach there in the big town. Wilson, who had been a big fan ever since his first Fame sessions with Joe Simon a couple of years earlier, was all for it. Signing basically the same kind of deal he had with J.R. Enterprises, he became a member of the 'Quinvy Productions' team. Atlantic Records had just signed Z.Z. Hill, and figured he'd be a perfect candidate for Quin Ivy's new plant. Wilson brought Tim Drummond down with him from Nashville and, together with a new 'rhythm section' that Ivy had put together after he and Marlin Greene went their separate ways, they recorded this incredible slab of vinyl we have here today. Released in 1969 (a full 12 years before Down Home Blues), I think it's every bit as good as his later Malaco stuff, if not better. I just love this record, man. 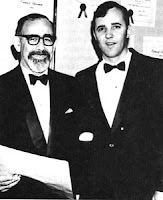 When Jerry Wexler heard the tapes, he was impressed, and reportedly told Ivy "that's more like it, that's why we're down here in Muscle Shoals with you." That may well have been the case, but Atlantic had other things going on by then (like Led Zeppelin), and Wexler's opinions notwithstanding, they didn't promote the record and it went nowhere. Wilson had also apparently underestimated the Nashville establishment's disdain of all things 'Shoals', and the branch office wasn't doing much. In any event, Ivy, frustrated by his inability to sell records despite their inherent quality, closed down the whole shooting match in 1970, and went on to become a college professor. 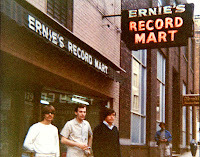 As we all know, those seventies were changing times, and Nashville was no exception. 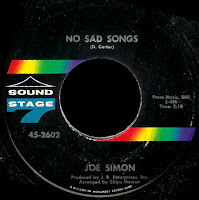 Joe Simon had jumped ship for the more disco oriented Spring Records by 1971 and, almost unthinkably, WLAC had changed its format, forcing our man John R to 'retire' in August of 1973. 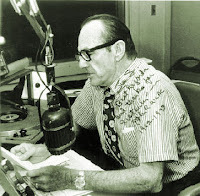 Although J.R. Enterprises would continue to produce great records on his Seventy Seven and Luna labels, Richbourg's sphere of influence was not quite the same without his fabled radio program. 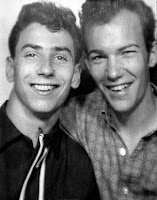 Buttrey and Gayden, who would go on to form Area Code 615 and Barefoot Jerry respectively, began to drift away from recording R&B. 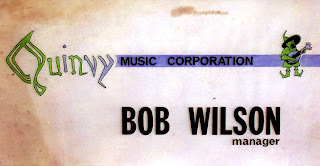 After the Dylan stuff, Bob Wilson's presence at Columbia increased, and he began working even more closely with Bob Johnston who, as it turned out, had also worked with Ed Wingate as a record promotion man in New York (small world!). 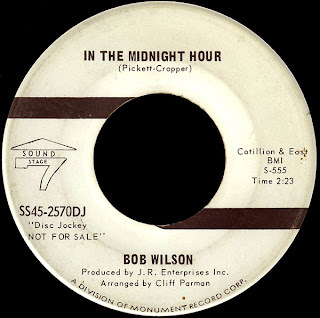 R&B remained Wilson's first love, however, and he continued to produce great records for Excello (please visit The A Side for more on that), as well as working with folks like Earl Gaines, Ann Sexton, and Willie Hobbs for John R, Hoss Allen and others. He would also become the keyboard player in Freddie King's band at this point, and tour the country just tearing it up with Freddie's brother, the great Benny Turner, on bass. 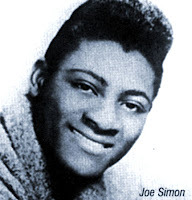 Well, as I mentioned the other day over on soul detective, Wilson contacted me after a post I did about Joe Simon last year. His life story, in my opinion, offered us a priceless window into the inner workings of both Detroit Soul and Nashville R&B. Through hours of telephone conversations, e-mails, and multiple mailings of photographs, vinyl and the like, he's been kind enough to share that story with us. 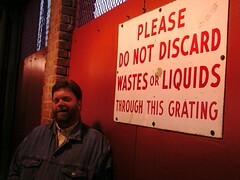 After the Stax thing in Memphis last month, I drove over to Nashville to meet him, and let me tell ya, we had us a time! An experience I won't soon forget, I was lucky enough to witness his reunion with old friend Billy Cox, which was just one of the many cool things we did while we were down there (please keep an eye on our ongoing Case Five investigation of Allen Orange over at soul detective for more about that trip of a trip). For right now, I'd just like to say thank you Bob, for everything. The Sound Stage 7 saga kind of rises and sets with its biggest star, Joe Simon. 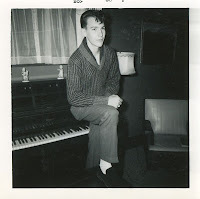 As we've mentioned before, it was John R who suggested to Vee-Jay that they take Joe down to Rick Hall in Muscle Shoals, resulting in his first national chart hit, Let's Do It Over, which would hit #13 R&B in mid 1965. When Vee-Jay went belly up later that year, John made sure that Sound Stage 7 picked up Simon's contract. With Allen Orange and Bob Wilson now on board, his J.R. Enterprises was ready. One of the first sessions that Wilson was involved in was Simon's Teenager's Prayer, which climbed to #11 R&B in the summer of 1966. As we talked about last week, J.R. Enterprises was using Cliff Parman as their arranger and conductor at this point, an old-school Nashville Guy, who believed in recording everything 'live' (including the horns and strings) in the studio. That approach, coupled with the fact that John R had assembled most of Fame's original rhythm section in Norbert Putnam, Jerry Carrigan, and David Briggs, to work with Wilson and Orange produced some great records, and kept Simon in the top twenty with the follow-up My Special Prayer. Originally using the parent label's Monument Studio in Nashville, they switched over to the better equipped Bradley's Barn in late 1966. I've heard it said that they were too much alike, but for whatever reason, the strong-willed Parman and John R had a big blowout at this point, and Cliff walked away. As we've discussed, Nashville's studios were union operations, that looked down their nose at the 'head arrangements' of the 'house bands' in places like Memphis and Muscle Shoals. This closed environment made it difficult to cut anything other than the established status quo defined by guys like The A Team. Once Parman left, Allen Orange talked Richbourg into letting him bring in the King Casuals, the North Nashville R&B stalwarts that had made a name for themselves in the clubs on Jefferson Street, before going on to power legendary local TV shows Night Train and The!!!!Beat. 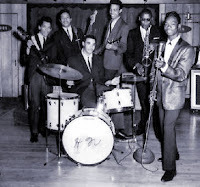 Although Jimi Hendrix had moved on by then, the band still featured Billy Cox, Johnny Jones, Freeman Brown, Harrison Calloway and tenor man Aaron Varnell, who became the label's new arranger. Since the Casuals never did carry a keyboard player, Bob Wilson was a perfect fit. This arrangement would record some of the label's coolest records in late 1966 and early 1967, with artists like Roscoe Shelton, Sam Baker, and Lattimore Brown. John R, meanwhile, decided to bring Wilson, Orange, and Joe Simon down to Fame in Muscle Shoals around this time for a multi-day session that produced the funky Come On And Get It as well as a sweet version of the Penn-Oldham nugget In The Same Old Way. Convinced that this was the right direction to take, Richbourg's next stop was Memphis, where he would pair up with Chips Moman and record the rest of Joe's album No Sad Songs at his American Studio. Still looking out for his own, John made sure that Wilson and Orange continued to get paid, both through additional overdubs made back in Nashville, and by issuing material they had written as the B sides of Simon's singles. Shortly after this, John R announced that he had signed an agreement with Moman and that, from then on, he was going to do his recording at American. 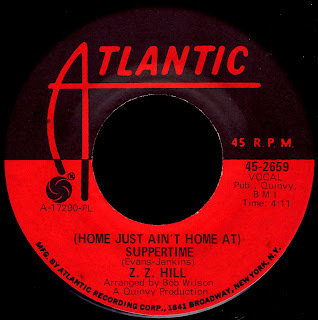 There during the studio's absolute prime, great records by folks like Roscoe Robinson and Ella Washington (among many others) were waxed in Memphis around the same time that Tom Dowd and Atlantic were recording everybody down there as well. If nothing else, John R lived up to his reputation of knowing good music when he heard it. Bob Wilson, meanwhile, was making a name for himself around Nashville as a 'go-to' session man, working whenever and wherever he could. Monthly appearances on the Grand Ol' Opry with Earl Scruggs helped give him some name recognition with the Country crowd, and before long he found himself working with legendary Columbia producer Bob Johnston, playing piano behind the likes of George Jones. He also began a life-long friendship with a New Orleans drummer named Karl Himmel, and began using both him and Billy Cox on sessions whenever he could. 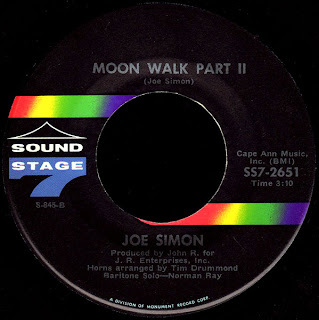 Burned out on the drive to Memphis, and fed up with Chips Moman who, he thought, put more effort into the songs he owned the publishing on than the songs owned by Richbourg's Cape Ann Music, John R began to rethink things. Why couldn't he set up the same kind of 'house band' situation right there in Nashville? With Wilson away visiting family in Detroit, he brought Joe Simon in to a studio on 'Music Row' called Music City that was owned by Scotty Moore, Elvis' first guitar player. With Wayne Moss on the bass, they laid down the basic tracks for what they just knew would be a monster hit. As soon as Wilson got back, Allen Orange brought him in and had him overdub the keyboards (with John R agreeing to back the single with their composition Come On And Get It as the B side once again) to make sure they didn't miss out. 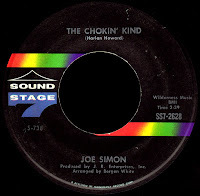 A cover of a Harlan Howard song that Waylon Jennings took to the Country top ten in 1967, The Chokin' Kind was indeed a monster, spending three weeks at #1 R&B in early 1969. 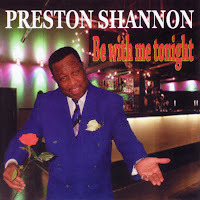 It was the biggest hit the label (or Joe Simon for that matter) had ever had, and convinced Richbourg he could make it work 'in house' in Nashville. 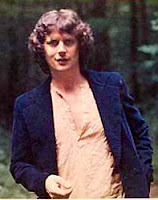 Bergen White, who arranged The Chokin' Kind, had begun writing horn charts for the label while they were still using American. 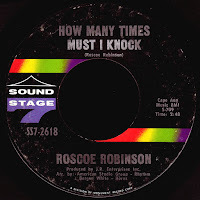 With him on board, J.R. Enterprises set about creating their very own house rhythm section Richbourg would dub 'The Music City Four' (or, when they were joined by Troy Seals on second guitar, 'The Music City Four + 1'). John R was very much into the concept, and made sure the labels said things like 'recorded in Nashville', and credited both White and the 'Music City Group' as the arrangers. This awesome, incredible B side we have here today represents this under-rated rhythm section just cooking along on all burners. In addition to Bob Wilson, the group included Tim Drummond (pictured with Wilson at right) on Bass. Drummond had come up through James Brown's outfit, most notably holding down the fat bottom on Licking Stick-Licking Stick in 1968. A multi-talented guy, he would end up (like Wilson) producing for the label, as well as writing the great horn arrangement we have here on Moon Walk in early 1970. That unbelievable guitar on here is being played by Mac Gayden, the self-proclaimed inventor of the 'slide-wah' style. A very cool guy, he came up through the ranks in Nashville, playing behind legend Arthur Gunter, and working at Ernie's Record Mart as a teenager. 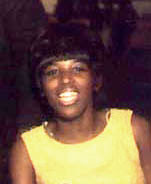 He would co-write the hit Everlasting Love with Buzz Cason for Robert Knight in 1967. A Nashville session veteran, he'd been around the block a couple of times, reportedly playing on Dylan's Blonde On Blonde. Kenny Buttrey was, without a doubt, the greatest drummer in Nashville. He had started out with Charlie McCoy and The Escorts, the band that, at one time or another, had also been home to Gayden and Wayne Moss. He was one of the most sought after session musicians on 'music row', and it was to Sound Stage 7's credit that he became 'their' drummer. He had been on Blonde On Blonde as well and, along with McCoy and pedal steel guitar wizard Pete Drake, he had backed up Dylan on John Wesley Harding in 1967. 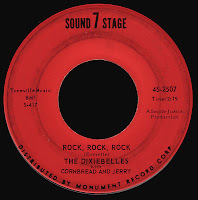 The cool thing about these guys, in my opinion, is that in addition to cranking out great R&B for Sound Stage 7, they played on all kinds of records, from Peggy Scott & Jo Jo Benson's Soul Shake to mainstream country acts like Dolly Parton to Neil Young and J.J. Cale. 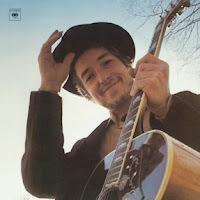 When Dylan returned to Nashville in 1969 to record Nashville Skyline, Bob Wilson was asked to be the keyboard player. He would appear on Self Portrait the following year as well. Just like John R had promised him, the sky did indeed appear to be the limit. 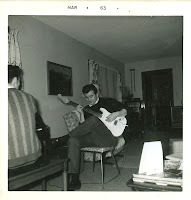 As young Bob Wilson was growing up near Detroit in the 1950s, his love of music became apparent at an early age. His parents did the right thing, providing him with six years of classical piano training which, among other things, would make him proficient at reading music, a skill which would come in handy down the line. By the time he entered high school, his taste in music began to evolve, and he 'idolized' the way cool Mack Vickery, Detroit's very own Elvis. Before long, he was sneaking across the border to Toledo (where a growing boy could get a real beer), and hanging around Mack's band. 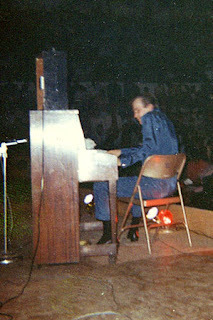 Helping out carrying the equipment soon gave way to sitting in with the band on keyboards whenever he could. He was hooked. The guitar player in that band was the legendary 'Wild Bill' Emerson who, as a left-hander, played the guitar 'upside down and backwards'. His crazy stage antics were way ahead of their time, and he was 'known to set his guitar on fire, or jump onto tables and stomp his way to the floor while playing a solo'. Bobby Wilson ate it up, and to this day describes Emerson as his 'mentor'. Wilson soon started his own band, and was by now playing the bass occasionally as well. They became quite popular on their own, and the fact that they featured a baritone sax (kind of like the Mar-Keys) set them apart from the crowd. 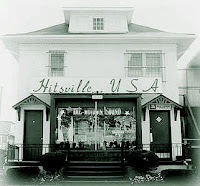 The early sixties were heady times in the Motor City, and the emerging 'Sound of Young America' that Berry Gordy was creating over on West Grand Boulevard captured everyone's imagination. Even before Bob got his driver's license, he'd bug his father to drive him over to the Motown studio where he'd hang around and just 'soak it all in'. 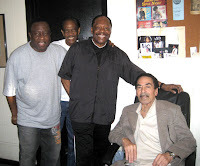 Mickey Stevenson, Gordy's A&R director, was impressed with Wilson's band, and filmed a demo with them in consideration of an upcoming album. Although the group kind of broke up before that happened, Stevenson continued to let Bob haunt the 'snake pit' and play that piano in between sessions. Even though his serious chops got him accepted by everbody over there, there really wasn't much of a place in the organization for a teenaged white piano player. Eventually, it was his friend Pat Lewis who suggested that Bob go over to Golden World. Founded by local African-American business figure 'Uncle' Ed Wingate and his partner Joanne Jackson in 1962, the company had recently broken things wide open when white vocal group The Reflections hit the top ten with Just Like Romeo And Juliet in early 1964. 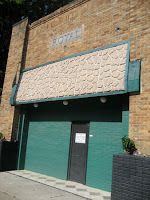 The success of that record enabled Wingate to build his own 'state of the art' studio in Detroit the following year. Hiring engineer Bob D'Orleans, a sound wizard they had recorded with at Mirasound Studios in New York, they gave him carte blanche to design and build his dream studio in an old industrial building on West Davison Avenue. When it was finished, it would boast the first four track machine in Detroit. 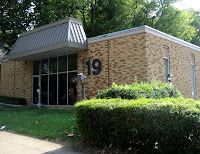 Many of Motown's Funk Brothers would do late night sessions over there, with Wingate covering the fines Berry Gordy would charge them when he found out. 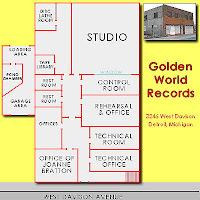 Golden World's secret weapon was the dimunitive Sonny Sanders, a former member of Detroit vocal group The Satintones who was now an arranger for the company. He had been the man behind The Reflections' big hit, and was currently working his magic on Edwin Starr's Agent Double-0-Soul, which would be released on subsidiary label Ric-Tic (#103) in mid 1965. That's him in the photo at right with Carl Davis, who would spirit him away to Chicago by the end of the year, where he would create even bigger hits for Okeh and Brunswick. 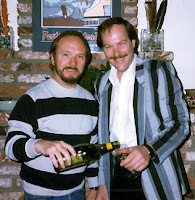 When Patsy Lewis had introduced Bob Wilson to Golden World A&R man John Rhys he was duly impressed, and 'strongly recommended' to Wingate that he sign him. 'Uncle Ed' liked what he heard as well, and started calling him his 'White Ramsey Lewis'. He began doing session work at the new plant, and working on an album of his own instrumental material for the label. They let him bring in the drummer from his old band, Richie Ries (pictured at left) to work with him. With Bob Babbitt on bass, and Sonny Sanders working out different arrangements of the first track for the record, they went through several studio guitarists without getting the 'feel' they were looking for. It was Bob's idea to bring in ol' Wild Bill Emerson, whose inspired playing kicked the whole thing up a notch. When Uncle Ed heard what they were doing, he called in saxophone genius Charlie Gabriel to complete the ensemble, and within a couple of takes they had it down. In those days, it was common practice to back a record with an instrumental B side that the company owned the publishing on, ensuring that they received the extra 'mechanicals' on the sales of a 45. When Golden World released Barbara Mercer's "The Things We Do Together" in the summer of 1965, the radio stations flipped it over and began playing the instrumental side (something called Hungry For Love), despite Wingate's pleas that they were playing the wrong song. Sensing a hit record, he pulled the release back (Golden World #27) so he could plug the instrumental as the A side. Now all he needed was a name for the conglomeration of moonlighting Funk Brothers and slumming members of the Detroit Symphony Orchestra that played on the single. 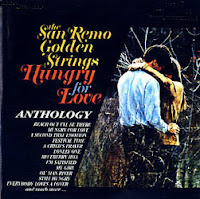 He and Joanne came up with The San Remo Golden Strings, apparently named after the Italian Riviera town they had visited earlier that year (go figure). Wingate called Bob Wilson into his office. 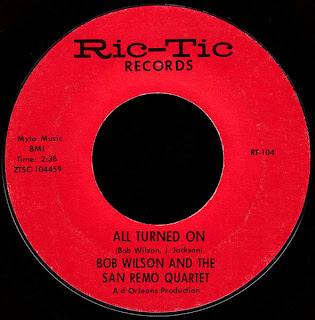 "Kid," he said, "Uncle Ed's about to do you a major solid..." He had decided to use the smokin' track they had 'in the can' for Wilson's album as the B side of the single, christening it "All Turned On by Bob Wilson and the San Remo Quartet" (while, of course, retaining the publishing and listing Joanne Jackson as a co-writer). Ric-Tic 104 would climb to #27 on the Billboard Hot 100 that summer and, in addition to the extra income from his share of the 'mechanicals', it gave Bob some priceless name recognition around town. It also just plain cooks! Married, and with a new baby, Wilson had been working second shift at the Ford plant, and going to school part time trying to make ends meet. After the record hit, friends convinced him to quit his job and go into music full time. 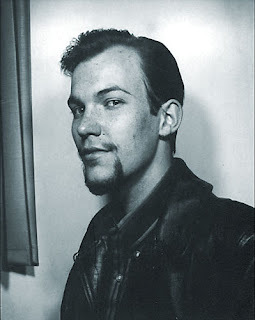 He was soon playing in a band that included Ray Monette on guitar and Mike Campbell (later known as Michael Champion) on vocals, playing gigs all over the Detroit area. In a word, amazing. Despite the corporate (and completely superfluous) teleprompted banter by Randy Jackson and Chuck D, it was a night of pure magic. A night that offered a glimpse of the supreme talent that made the whole Stax phenomenon so special. 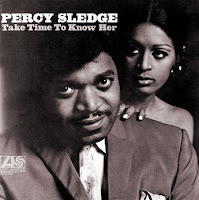 Backed by a 'house band' that included Stax regulars like Bobby Manuel, Skip Pitts, Wayne Jackson, and (yes) Marvell Thomas, performer after performer just rocked the house. How about Eddie Floyd singing Knock On Wood? Or Mabel John stretching out on Your Good Thing (Is About To End)? Or William Bell holding the crowd in the palm of his hand with his sweet rendition of I Forgot To Be Your Lover? 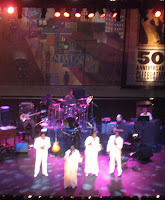 One of the absolute high points, in my opinion, was a rare appearance by the original Soul Children. As we mentioned in our last post, the 'Big Six' production team at Stax played an incredibly important role in shaping the label's trademark sound. Isaac Hayes and David Porter had essentially created Sam and Dave, writing songs that fit their image, and providing hands-on production that brought out the best in their 'alter-egoes'. 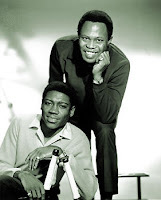 When Stax and Atlantic decided to go their separate ways in early 1968, Sam and Dave became one of the major casualties, as they had been signed to the larger company all along, and had merely been 'on loan' to Stax. This proved to be a rather significant loss, not only because they were the label's biggest sellers at that point, but also because it left Hayes and Porter without enough to do. Unsure of how to proceed, they were reluctant to simply try and find another pair of personable young guys and put them out there as what would be surely be percieved as some kind of 'cookie-cutter' version of the real thing. In a true stroke of brilliance, they hit upon the idea of a quartet that would pair two men and two women, and provide an even greater vehicle for Hayes and Porter's prodigious talents. The Soul Children were born. 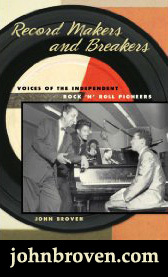 The male contingent was made up of local character J. Blackfoot (aka John Colbert), who had originally come to David Porter's attention singing along with the jukebox in a local bar, and Norman West, who had done a stint with William Bell's former group The Del-Rios before setting out on his own and waxing a few singles for Hi and Smash. Anita Louis, who (like Carla Thomas) had been one of WDIA's Teentown Singers, and Shelbra Bennett, a local girl who 'walked in off the street' and was simply in the right place at the right time, would comprise their 'better half'. The record buying public was apparently down with the concept, as their first release Give 'Em Love would crack the R&B top 40 in November of 1968. I'll Understand did even better early the following year, while Tighten Up My Thang would keep them in the top 50 that spring. 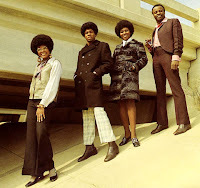 Recorded in July of 1969, the A side of today's cool selection (Part I) was their breakthrough record, soaring to #7 R&B that fall, and reaching #52 on the Billboard Hot 100. 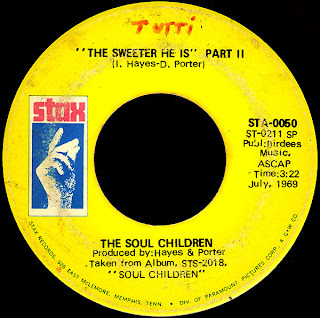 With Hayes and Porter's focus now squarely in their corner, The Soul Children had it goin' on! As they lit into this song the other night in Memphis, the crowd roared their approval, with nearly everyone over a certain age straining to sing along with those high pitched 'doo-doo-doo-DOO-doo-doos' whenever they came around. The Children ate it up, providing some of their trademark 'soul theater', as 'Foot' tossed away his jacket, and had to be helped from the stage as he was just overcome by it all. Fantastic stuff, boys and girls. With the unprecedented success of Isaac Hayes' album Hot Buttered Soul transforming him into, well, Isaac Hayes, his involvement with The Soul Children was put on hold. 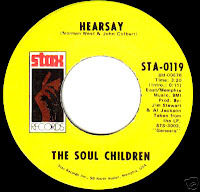 They would continue to chart, however, with great records like Hearsay (which was written by Blackfoot and West and actually produced by Jim Stewart and Al Jackson, Jr.) busting into the R&B top five in 1972 and the monster #3 hit I'll Be The Other Woman in early 1974. When Stax went under, they were signed by Epic, releasing a few minor singles, before hitting the R&B top twenty one more time in 1978 with Can't Give Up A Good Thing on the revitalized Fantasy Records version of the Stax label. Now, here's why I love Memphis. Last Thursday, after buddy Preston Lauterbach was kind enough (for the price of lunch at his favorite 'meat & three' joint) to show me around the Thomas Street neighborhood in North Memphis where real music can still be heard most weekends, I decided to stop by Royal Studio to visit Willie Mitchell like I did last year. As various great-grandchildren swirled around us, Willie played me his most recent productions on the Spanish and French acts that have been booking time at the studio recently. I'm not sure who they were (neither was Willie) but, let me tell ya, they all had that trademark 'Hi Sound', and just knocked me out - even though neither one of us could understand what they were saying. As we sat there and talked, people from the neighborhood began to trickle in. "This is Foot," Willie told me. When that drew a blank stare, he said "You know, J. Blackfoot from The Soul Children." I couldn't believe it. Still an absolute character, Foot traded barbs with 'Pop' as they talked about the upcoming Stax show tomorrow night. We were soon joined by Julius Bradley, the soft-spoken Gospel artist I told you about last year, and local blues sensation Preston Shannon. 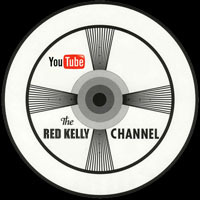 Truly honored to be there, I got me an earful and a priceless window into the music scene as it exists in Memphis today. We had us a time! One thing I learned was that Memphis music is alive and well, and not just hidden away in some museum. All three of the guys I was hanging with have current releases that are making some noise locally. 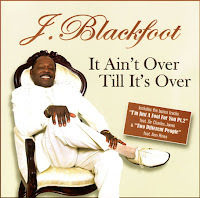 J. Blackfoot (whose solo career we'll feature in an upcoming post) has a new CD called It Ain't Over Till It's Over that's all over the radio down there. 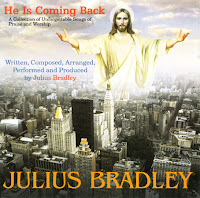 Julius Bradley, meanwhile, has completed the album he was working on with Poppa Willie at Royal last year, He Is Coming Back. According to the liner notes, it was 'Written, Composed, Arranged, Performed and Produced' by Julius and 'Mixed, Engineered, and Co-produced under the tutelage and by the Learned Hand of "The Master", Mr. Willie Mitchell'. It's great. After Preston's set, I kind of snuck in to the Stax 'after-party' that was thrown by the Concord Group over at the Gibson Factory lounge. 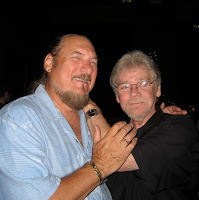 Rubbing elbows with folks like William Bell and Rob Bowman was cool enough, but when Steve Cropper and Duck Dunn walked in and hung out with us at the bar, I was in soul heaven, baby. It just doesn't get much better than that. Long live The Sound Of Memphis!